Please call owner Nancy at 989-348-2734. Boat is in Port Charlotte, Florida. 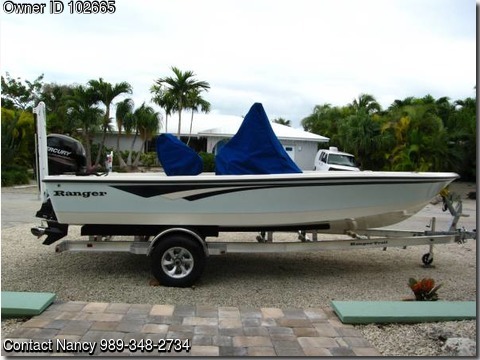 2013 Ranger 220 Bahia with Mercury 150FS and Ranger Trailer in "Showroom New" condition. Only 87 hours of use. Has a Minn-kota Riptide SF electric motor and a Power-Pole Pro II Shallow Water Anchor. Electronics include a Raymarine C80, DSM 300 and a 125 GPS. Stored in garage during the summer and kept on lift during winter months.